A lot many of us believe that the future is yet to come and the techs, which will blow our mind and change our lifestyle, are still far away. However, truth is, it is a much nearer reality then one would suspect. The point is, Technology often moves at a faster pace than its support industries. For better understanding, imagine having a high-speed internet with a snail-slow computer. Brands are responding to this changing market like a bunch of confused amateurs- creating a disoriented atmosphere of what to do, and how to do it. People around the world have built up a whole science upon what is this integration between the digital and the brick-and-mortar store. Giving elaborate and comprehensive reasons as to why it is of importance and explaining why it is becoming crucial. However, simply put- it is as plain as making your brand available and its offerings easy to purchase. Brands have been doing this for eternity, so why this sudden scramble? The core idea is the same, making your brand visible, appealing and attractive enough for consumers to want to purchase it and give them enough satisfaction throughout the purchase journey to make them loyal customers. Only that now, the landscape is not as clearly separated as digital and your brick-and-mortar store. 5 years ago, an E-commerce site might have been ‘the’ competitive edge, but this is the ‘5-years-later’, this is the future, and the landscape has changed significantly. To make matters simpler, we will go by a few innovations according to their level of intrusion to a consumers surrounding. The intention is that this way we could analyze what innovation works where and how it increases the coming together of our physical and digital world. We all know Omni-channel presence is now at a stage where E-commerce was 10 years ago. It’s here, it’s operational, and it is becoming integral. Connecting to your consumers in micro-moments, on a desire-based motivation or at a place where it is convenient to them. With Beacon technology, it has achieved just that. Pinging consumers, near the physical store, make a digital cognition for a physical experience. If the consumer than chooses to go inside the store, they get a seamless experience from the digital projection of the store to the physical reality. Many stores have now adopted a virtual display of their product. You can view a product at their store but supposedly, you do not like the color or cannot find the correct size of it, in that case, you can use your mobile device to scan the product using their app and it will show you the other variations available for that product and purchase the product online. This is to facilitate buyers to the avail the product of their preferred variation even if it is unavailable in the store. At the store’s end, they are able to make the sale even if the product is not present at the store. Some of the apparel retailers across the globe are now ‘suit-ing people up’ without them having to provide a changing room! They straight up have an interactive screen, much like a T.V with a webcam, wherein you chose what you want to try on and their nifty gizmo will simply project your choice on the screen over your ‘on-screen’ image! Yes, nothing says glamour more than an onscreen you wearing onscreen clothes. If you thought that was awesome, the car lovers amongst you are going to go berserk when you hear what Ferrari is doing (provided of course that you could afford a Ferrari). At some of their select showrooms, they provide you with an I-pad (not as a gift, you have to return it when you leave). The magic begins when you scan your preferred model, say a 599 Gt (our preferred model) with the I-pad. Once scanned, you can now see it in different colors, check out its specks, see how it would look like with additional body kits, different alloys and all the other cool stuff. Think NFS garage Live action! However, as the public is no longer in a habit of going to a store to purchase anything, the exercise of taking time out to reach out to a geographical store has gone. So How do you reach out to them? And you cannot blame them, in our struggle to reach them when they feel convenient, we have facilitated in alienating them from the physical emersions of the brand. And now, the struggle is to bring them back with technology. 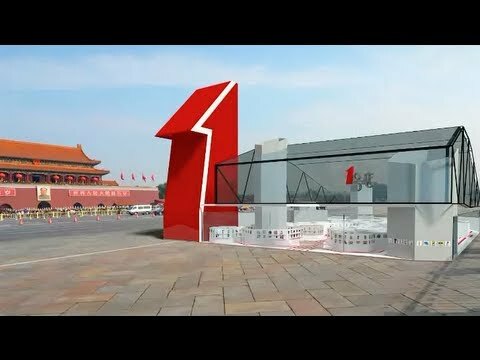 The Chinese company ‘Yihaodian’ has taken up an exceptional step to attract them back and has literally stepped into the future in doing so. One-step away from holographic stores and a thousand steps ahead of the brick and mortar stores, their Virtual store is a rendition where consumers can just walk in anywhere. What they have done- The have simply erected virtual stores in parking lots, popular landmarks, or pretty much any empty space they could find. 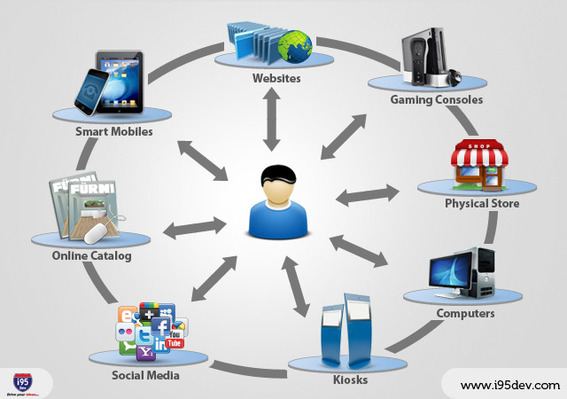 Now the user merely have to download their app which will give them direction to this invisible virtual store, and through their device camera they could see this invisible virtual store in which they could just walk-in purchase the digital products which will be then delivered directly to their home. The allied intrusion of technology with creative convenience now made it possible to search, compare, “try” and ultimately purchase a product you desire without stepping out of your house at all. Brands have started to re-invigorate catalogues and magazine advertising, so you can get an enhanced experience of the product right at home and order it online! 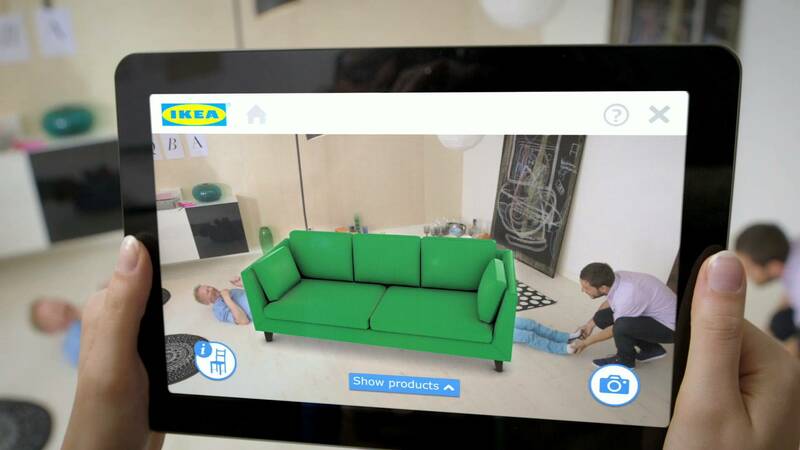 Ikea has now gives out catalogue that can be scanned by your mobile device using their app, and voila, it creates virtual furniture over the catalogue that you could see through your device. Set the catalogue anywhere you want and see how it looks in your room even before you buy it. All the footwear brands are also doing a lot like this, they are making their products come to life through catalogues which give a virtual 3D image when viewed through a device. This interaction is taken a step forward by them and made a little more useful than just creating an awe factor. Adidas came up with a nifty was way where in you stick a marker on your foot and keep it over the page, when viewed through the device, it creates the shoe over your foot as if you are wearing it, so you know how it looks on your feet. In the wake of such innovation, the only conclusion that can be derived now, is that consumers and marketers alike are now more interested in and immersed in an experience that includes both digital and physical. A eco-system that depends on both rather than being mutually exclusive. Need quality assurance? Adopt a content first strategy.